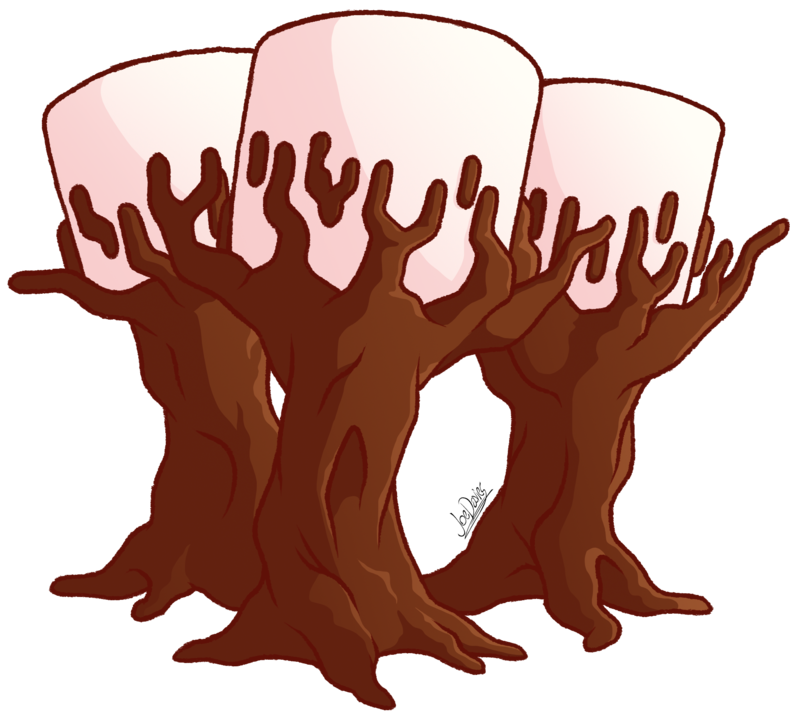 Indeed… marshmallow trees. Oh, do the wondrous sights of this candy world not cease? 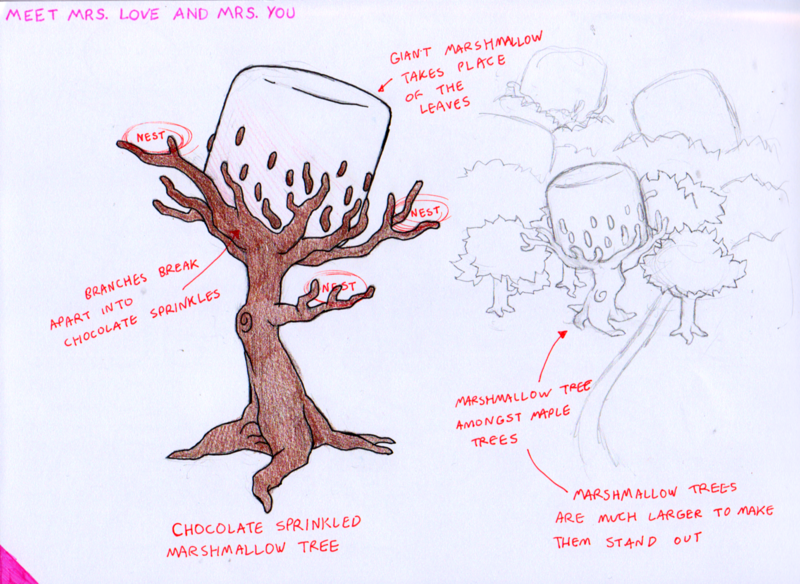 I suppose when designing these specific trees, I could’ve drawn ordinary tree, but with marshmallows instead of leaves. 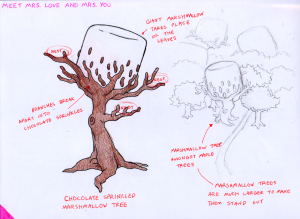 But not only is it WAAAYY less vexing to draw them this way (remember, I had to draw a whole book showing these things), I thought it was more interesting having one big marshmallow that is wrapped in the branches of chocolate, that form a big pillar below to form a tree trunk, and whose ends split off into smaller pieces, making chocolate sprinkles.